We understand the urban landscape for multi-family residential design. Residential projects help define a city's urban landscape. As we move toward higher density living, our multi-family residences must also adapt. So much more than a collection of apartment units, today's high-rise and mid-rise condominiums not only serve as a design landmark, but an opportunity for you to capitalize on their location to maximize exposure and brand. As owners and developers, you are looking for the best in design, as well as in building performance - and that's what we deliver. At Kirksey, we believe that to create successful residences, we must first understand the fabric of the community and design to the context of the neighborhood. Whether its luxury condominiums, a planned retirement community, or upscale mixed-use development each residential project calls for something different - and we design based on those unique needs. Our knowledge-based proficiency and years of past experience helps achieve a level of quality that is hard to match. Passionate about sustainability, we also specialize in better building performance design, incorporating the use of BIM and energy models for a more accurate project design. Kirksey’s expertise in creating amenity-rich residential spaces is evident by our portfolio of multi-family projects. From renovating one of Houston's oldest iconic residential high rises to designing luxury condominiums with high-end amenities, we know how to create modern, urban living environments that people love to call home. 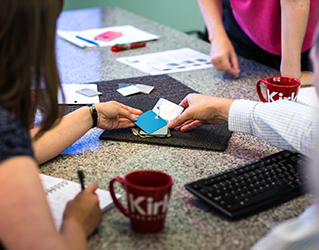 We are Kirksey Hospitality, and we're here to provide sustainable, high-performing residential designs that enhance the community while maximizing your brand. We are experts in designing amenity-rich residential spaces that help define the urban landscape for a city. Our portfolio of multi-family projects includes, condominiums and apartments, senior living facilities, and hotels/resorts.